My kids love to do crafts almost as much as I do. Although they do love them, sometimes their attention span doesn't match up to the craft they are doing. 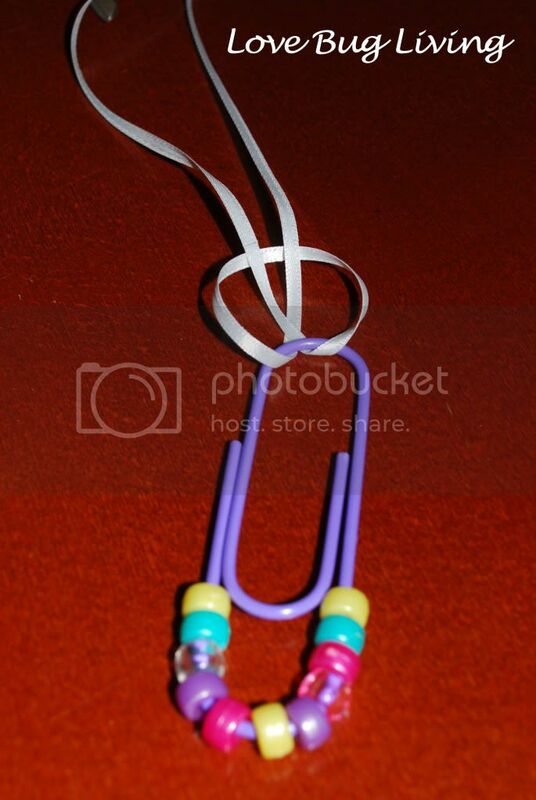 This paperclip necklace is perfect for that quick craft that is super cute too. The girls love any jewelry, and what's better than making their own? 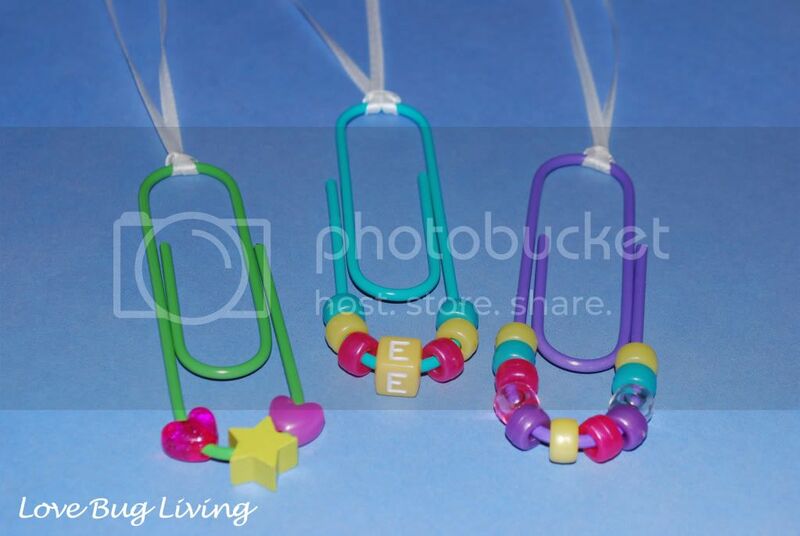 These necklaces would be the perfect craft for a bigger group too, like at a birthday party. 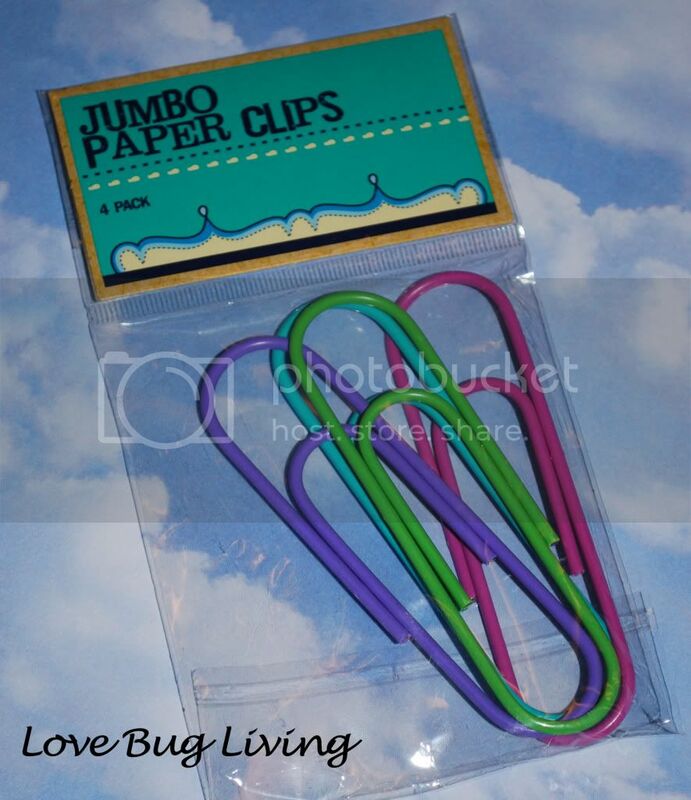 I found this package of 4 giant paperclips in the dollar section at Target.﻿ I love the fun, bright colors. We had some beads on hand that fit perfectly. 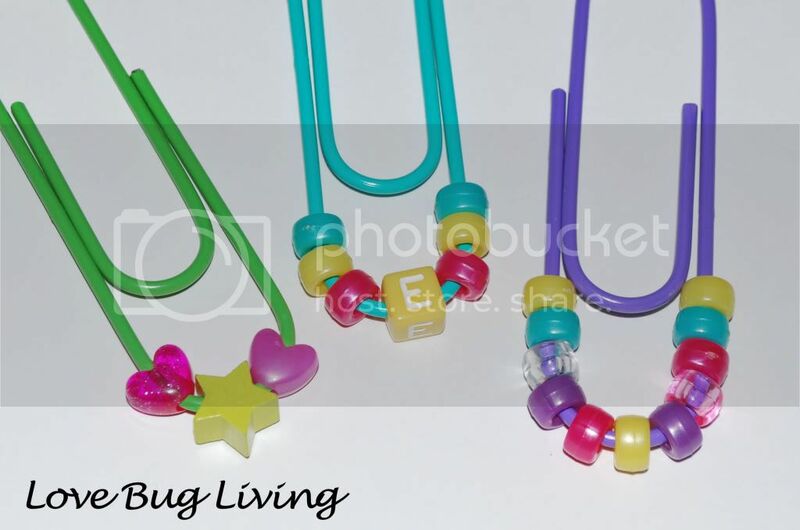 When you are buying beads, make sure the openings are big enough to fit on your paperclips.﻿ The girls had fun designing the layout of their beads. 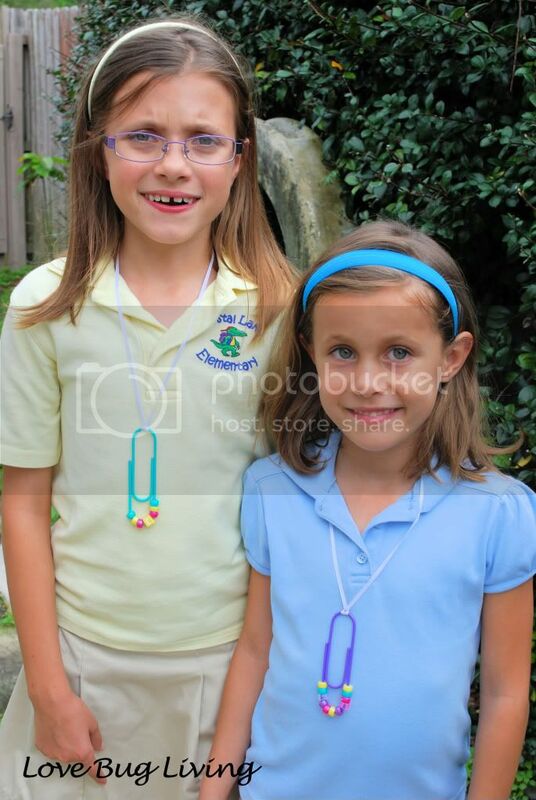 After they had decided, we just slid the beads on. As you can tell, one of my daughters is very organized and had to have them very symmetrical. The other is very free spirited and just slid them on however she grabbed them. New GFC follower from Sunday Hop. 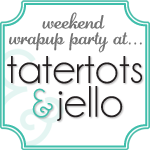 Would love to have you follow back! What a cute idea! I love that dollar section at Target. Found your blog via the bloghop at Blissful & Domestic. These are just too cute! I'm constantly shopping the $1 spot at Target!! Thanks for linking up.